Kalchakra is a Sanskrit word for “Wheel of Time.” It is a complete, elaborately detailed, cosmology. It is founded in a Tantric cosmogony – a traditional sacred explanation of the creation and structure of all. In the description, the microcosm that is man is not different from the macrocosm that is the Universe. Besides these two very complex “maps” – one outside us, the other inside us, there is given a method – a way to practice and apply this knowledge, in order to achieve ultimate happiness. 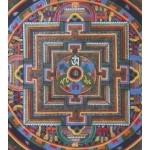 Kalachakra can also be translated, the Cycle of Time. It is the name of a highest level Tantra and also the name of the dark blue male deity, whose golden consort is Vishvamata (Mother of the Universe.) 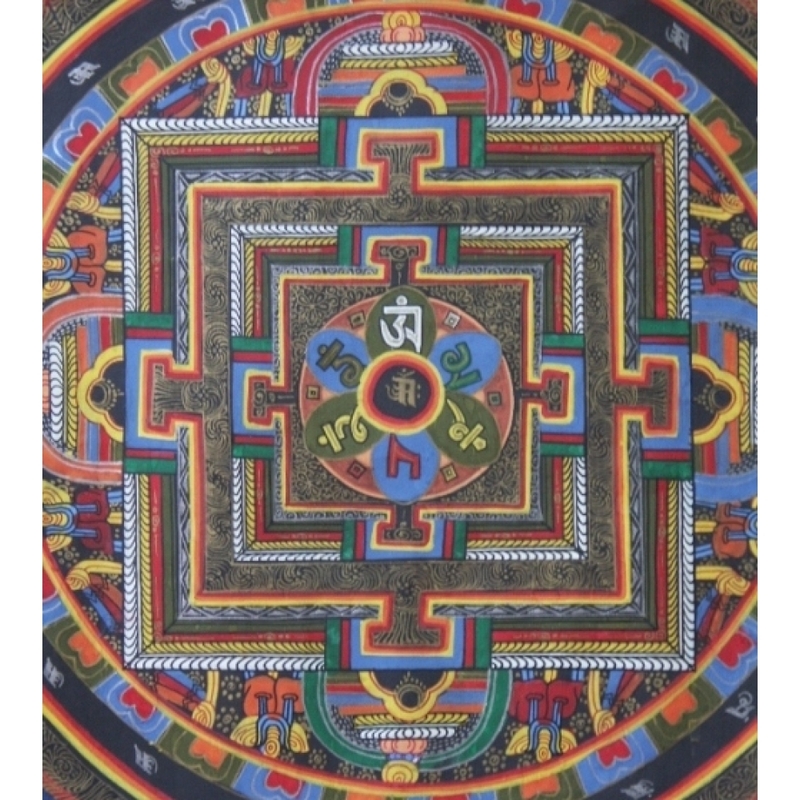 The teaching of it, which is preparatory to the initiation, requires the construction of an intricate Mandala, and to do it is an extensive undertaking. Perhaps the most admired and discussed symbol of Buddhist religion and art is the Mandala, a word which, like guru and yoga, has become part of the English language. 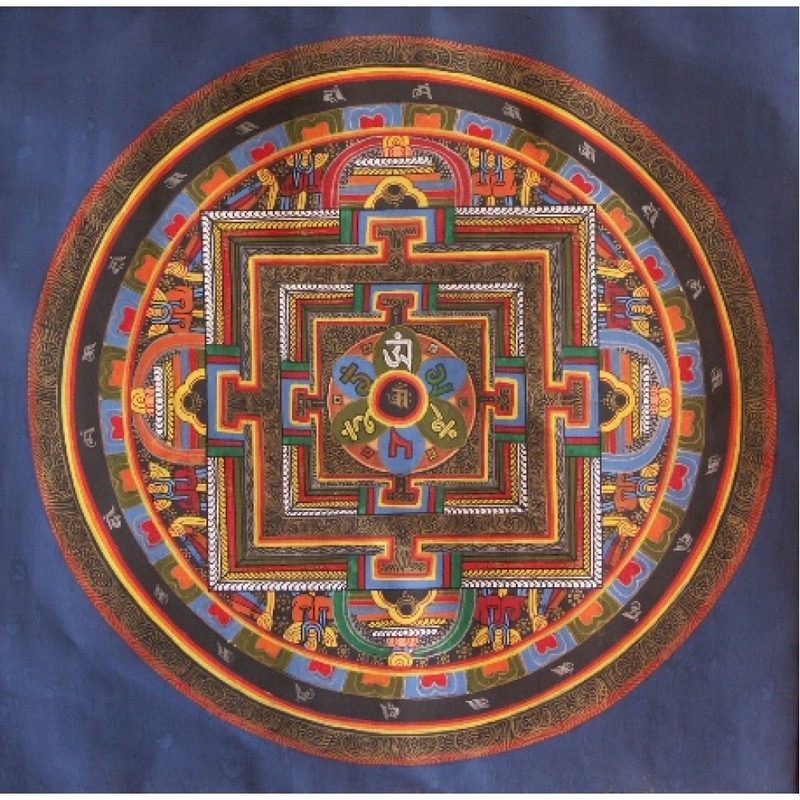 Both broadly define Mandalas as geometric designs intended to symbolize the universe, and reference is made to their use in Buddhist and Hindu practices. 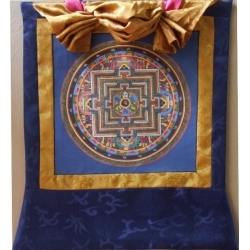 The word Mandala itself if derived from the root Manda, which means essence, to which the suffix – la, meaning container, has been added. 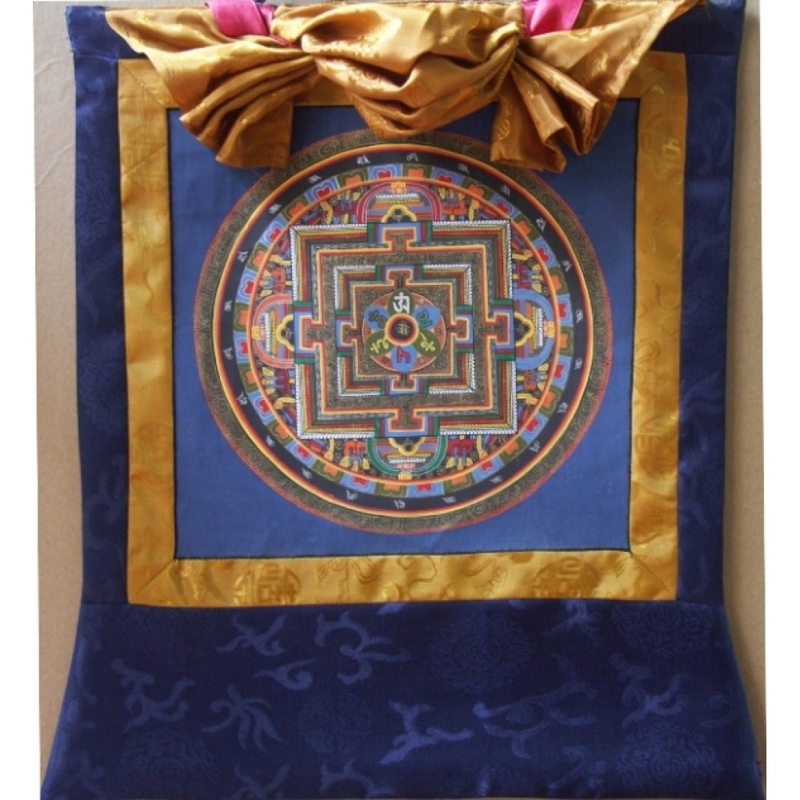 Thus, one obvious connotation of Mandala is that it is a container of essence. 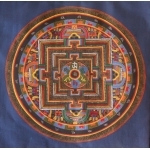 As an image, a Mandala may symbolize both the mind and the body of the Buddha. In esoteric Buddhism the principle in the Mandala is the presence of the Buddha in it, but images of deities are not necessary. They may be presented either as a wheel, a tree, or a jewel, or in any other symbolic manifestation.